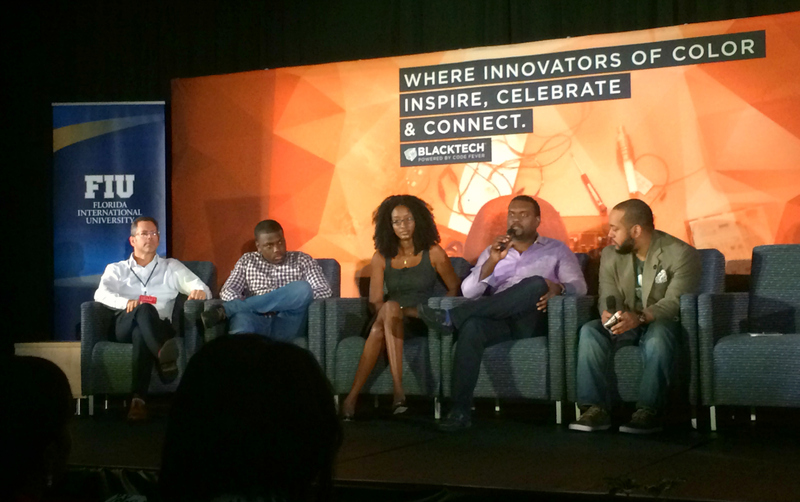 Entrepreneurship met self-empowerment last week during Black Tech Week, a startup business conference geared toward minority businesspeople in science, technology, engineering and math fields. The week-long event, hosted in part at Biscayne Bay Campus, was an opportunity for students, faculty and the community to come together during Black History Month to learn from entrepreneurial experts and network with peers in the startup field. Andrew Goldner, Marcus Carey, Birame Sock and Clarence Wooten discuss best practices for startup businesses. For Hatcher, this event is an important way to celebrate technological and entrepreneurial successes in the black community during Black History Month. Saif Y. Ishoof, FIU’s Vice President for the Office of Engagement, which co-sponsored the event, said Black Tech Week is an important opportunity for students, faculty and alumni to engage in dynamic conversations about the industry. “As we continue to push to become leaders in inclusive STEM programs, we believe that our partnership with Black Tech Week is a natural extension of the commitment we have to building the next generation of entrepreneurs and business leaders, people who are reflective of our community,” Ishoof said. “Aspiration without preparation leads to frustration,” said Newton Sanon, the president and CEO of the social services organization Opportunities Industrialization Center (OIC) of Broward County. Consider all variables, both known and unknown, before getting to work on a startup. Gather a team of dedicated people with a variety of skills and knowledge, and set a list of goals for the business, making sure to factor company growth into every step of the process. “We don’t think you should have to leave your home to create a great company,” said venture capitalist Andrew Goldner, founding partner of the venture capital fund GrowthX. He suggests that building a startup here in Miami may be a better choice for an entrepreneur’s budget than picking up and heading off to the Silicon Valley. Although California has a flourishing startup business culture, the high rate of competition for investors in the area can be the downfall of a startup. Additionally, building businesses here fuels the local economy. 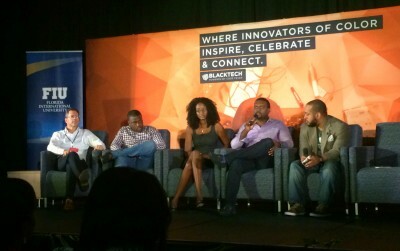 “If [venture capitalists] don’t invest, it doesn’t mean they can’t help you in another way,” said Birame Sock, a serial entrepreneur and founder of the interactive digital marketing platform FlyScan, Inc.
Investors are often veterans in entrepreneurship, meaning they have a breadth of industry knowledge and a wide network that startups can benefit from, provided that they keep in touch. Sock suggests pursuing a mentorship instead of dismissing a venture capitalist who turns a company down. That person may be the key to networking with a new business partner or another potential investor. Use these learning opportunities to your advantage. Sit down and think about what went wrong versus what went right; and from there, devise a new business strategy. Often, a new startup is founded on the successful aspects of one that failed. But fail fast and fail cheap, he warns.